Requirement - Graduation in Civil Engg. TNPSC (TAMIL NADU PUBLIC SERVICE COMMISSION, Govt. 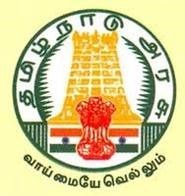 of Tamil Nadu) is seeking applicants for the vacancy of Assistant Engineer (Civil) on its portal http://www.tnpsc.gov.in for graduate. This is a great opportunity for those aspirants who want to work in TNPSC. The job location will be Tamil Nadu. Candidates must submit his or her application on or before 12-08-2015. For more details like eligibility criteria,age limit and salary read further. Assistant Engineer (Civil) 210 Posts max 18-30 years Rs. 15600 – 39100/- + Grade Pay Rs. 5400/- Graduation in Civil Engg. Mode of selection : - Candidates will be selected based on his performance in Written Test and Interview/Center of Examination following Coimbatore/Chennai/Chidambaram. Application Procedure : Interested aspirants should apply through online mode on the given link http://www.tnpsc.gov.in/latest-notification.html by filling stated credentials and uploading a scan copy of passport sized photo and signature if said before the last date 12-08-2015.